Lud: Sam, you were telling us this evening about a conversation you had which led to Baba expounding on the future of world religions. Would you tell this to our friends here? Sam: In Meherazad I was talking to one Baba lover named Shatrugan Kumar from Dehra Dun, and I told him that one thing I liked very much about Baba’s statement was that after his Advent, this religious ceremony and all that would be mostly discarded. I said thank God, at least this will happen, because ceremony seems to be a big burden of mankind today. 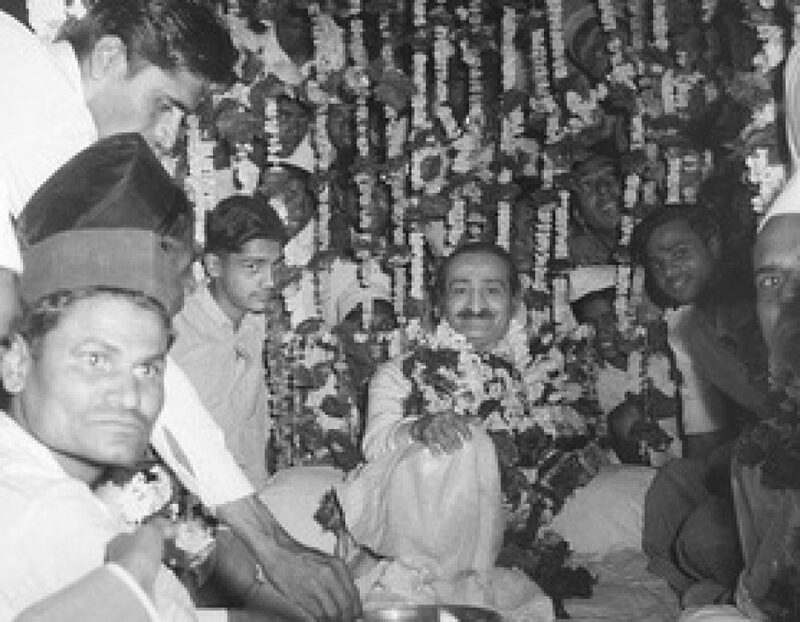 But Kumar said that he didn’t feel it in the same manner, because right in Baba’s own living presence such things as singing Baba’s arti, performing certain prayers and all, were allowed by Baba himself, with the result that even after his Advent, things like artis and performing pujas will be adhered to. This conversation was slowly taken up to Eruch and thence to Baba, and Baba then said that yes, things like arti and puja will continue, but there will be one difference. There will be no such thing as sectarianism about it. … Religion will not matter at all. They will join in and sing the praises of the Lord from the bottom of their hearts, irrespective of what religion they belong to. “They will join in and sing the praises of the Lord from the bottom of their hearts, irrespective of what religion they belong to.” is not the same as “Baba’s Arti and Prayers will be done by people of all religions.” It means, people will praise God in their own way, spontaneously, from the heart, not necessarily with Baba’s Arti or prayers. You shouldn’t twist Baba’s words. Your version will lead to a theocracy where everyone will say the same words. That’s not what the New Humanity is about.